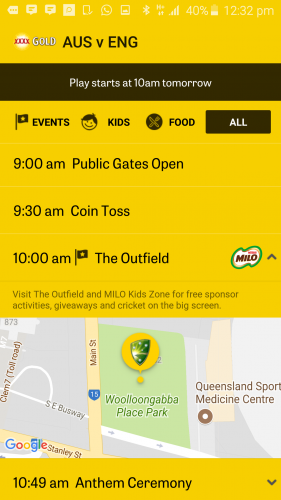 To coincide with the 2017-18 Magellan Ashes Series, Cricket Australia (CA) has unveiled its Matchday app, which will provide fans across the summer with a wealth of specific information to enhance the at-match experience. The Matchday app was developed after an extensive 12-week research project into customer experiences at cricket matches undertaken by CA over the course of the 2016-17 cricket season. The research found that fans at match wanted more information about venue amenities and food options, fan activations, and the latest video replays at their fingertips. 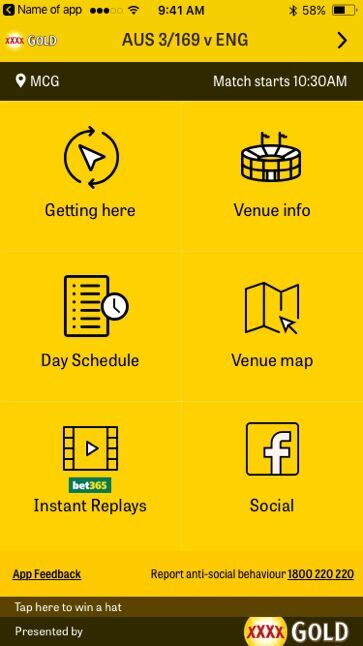 The app, developed by CA Digital and supported by XXXX GOLD, is accessible directly from the existing CA Live app. Any fan attending an international men’s match this summer with the latest version of CA Live installed on their phone will be prompted to activate the Matchday functionality, and will gain access to information and tools designed to improve the spectator experience. Video replays, to help fans catch up on any action missed or any moments they want to re-live. Regular updates on activities at match, such as prize giveaways, face painting, food stalls, and fan competitions. Match information, such as when play is going to re-start if there’s a rain delay. Details of where to find the best food at the venue. Useful transport information to make getting to and from the game easier. In addition to the Matchday app, CA will also be launching an at-match Cricket Hosts pilot program at select matches of the Magellan Ashes Series this summer. handy local knowledge about the host city, including where to eat after play concludes what to see, or simply the best route home. The CA Live app, including Matchday app functionality, is available on iOS and Android. CA has also announced that Toyota has renewed its partnership with the sporting body for the next four years. The sporting body has been a partner of CA’s since 2012, and has committed to continuing its extensive support of the Australian cricket pathway – from club cricket all the way up to the men’s international cricket team – until 2021. The renewed partnership will see Toyota continue its incredibly popular ‘Toyota Good for Cricket Raffle’, which has already raised over $1.7 million for local cricket clubs since its introduction in 2012. The renewal also ensures Toyota’s ongoing support of each of the state cricket associations and the KFC Big Bash League. As part of the new deal, Toyota will take on a new naming rights partnership of the Australian Country Cricket Championships, an annual tournament that showcases the best cricket talent from regional areas. 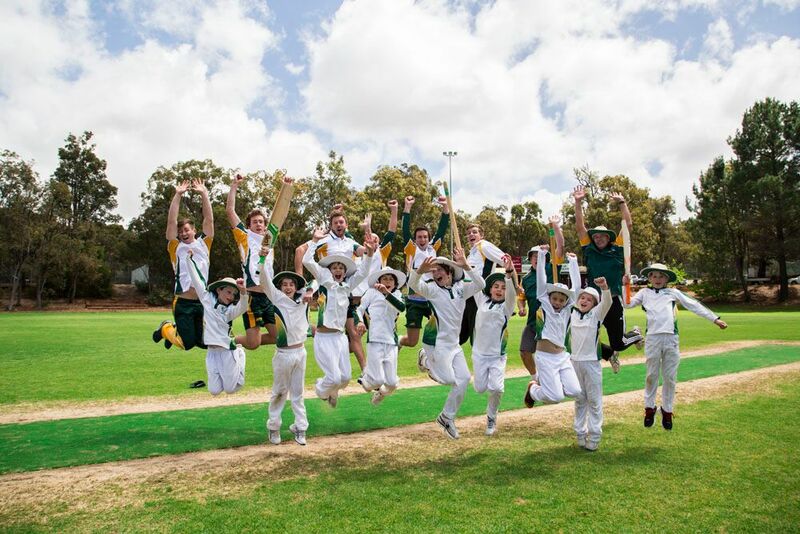 Toyota’s support for Australian cricket will also extend to providing vehicles to Northern Territory Cricket and Cricket ACT to assist cricket development officers grow cricket participation into regional areas.